Thought-provoking dystopian for fans of Divergent. Luna has a secret. She is different, and no one must find out. Because in this world you must play their game, or it could cost you your life. Will Luna discover her true destiny in time to save the ones she loves? Initially, I picked up this book and began racing through it. It started off brilliantly and I was certain it was going to be up there among my favourite books of the year. I loved the first two books in Teri Terry’s Slated trilogy (I’ve yet to read the conclusion to that series), so that also gave me confidence that Mind Games would be a good novel. But then I got to around the halfway mark and I started to get a bit confused. It began to feel like the storyline had broken and been scattered all over the place, and the pieces were struggling to find their way back together. It began to get bitty, and not everything felt like it linked up properly. I understand that it may have been intentional, because Luna was going through the same thing. She was finding out new information that didn’t always add up or make sense, and therefore she was confused, and questioning everything she thought she knew. But as a reader, I found it to be disconcerting. It’s like Teri Terry tried to do too much with this book. I think it could have been better if it had been stripped back a little bit. That said, I did still enjoy Mind Games. I love the concept, and I really enjoyed the various characters and their reactions to the virtual world that they so frequently visit. I can completely imagine a future in which we have implants in our brains instead of carrying around smartphones and tablets, and we plug in to a virtual world to play games, go to school etc. It’s scary, but if technology becomes advanced enough (and I’m pretty sure it will) it seems like a natural progression. There were many elements of Mind Games that reminded me of Divergent, too, and the Divergent series is one of my all-time favourite YA dystopians. It’s different enough for me not to feel like Teri Terry copied Vernonica Roth, but similar enough to appeal to the Divergent fan in me. The biggest similarity is that Luna is able to exist in the real world at the same time as the virtual world (sort of), but she needs to keep that fact hidden from authorities like Tris does when she finds out she’s Divergent (able to successfully complete multiple faction tests). I particularly liked the end of Mind Games – I thought that the twists were fantastic and unexpected, and I couldn’t put the book down when I reached those last few chapters. But there are still lots of questions that haven’t been answered. There were times when Luna was hurt in the virtual world and somehow that pain/cut/bruise made its way into the real world. I don’t remember getting to the bottom of that, it’s still a mystery to me. I think this is a standalone book, too, so my questions are unlikely to be answered. I’ll be giving Mind Games 4 out of 5 stars, because despite being confusing at times and leaving me with lots of questions, I still sped through it, and I loved the Divergent-like feel to the whole story and its characters. Plus, I talked about it with my boyfriend and with colleagues, which as I’ve mentioned in previous reviews is always a sign of a good book. If I’m not really that invested in a book I’ll never talk about it with friends because there’ll be something more interesting to talk about instead. 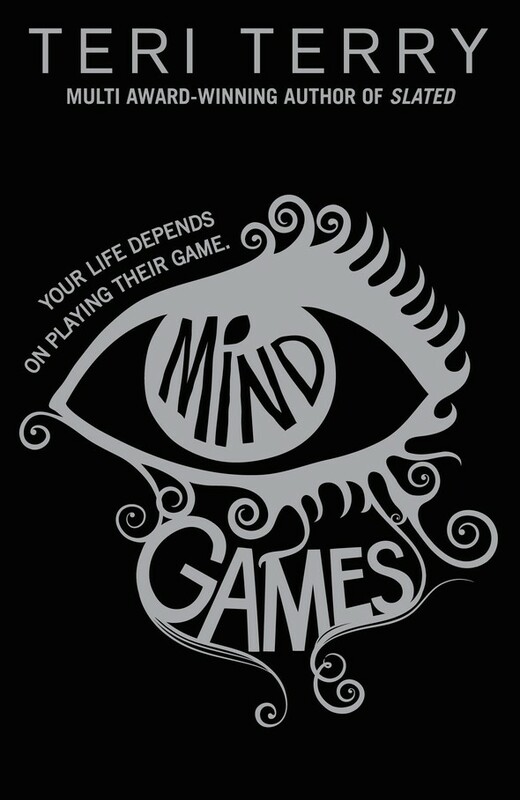 What did you think of Mind Games? Let me know in the comments section below. February/March wrap-up and book haul!